In his holiday classic, A Christmas Carol, Charles Dickens tells a moving story of transformation. As the spirits of Past, Present, and Future visit the miserly Ebenezer Scrooge throughout the course of Christmas Eve, we see him learn to embrace a sense of compassion and generosity. I will honor Christmas in my heart, and try to keep it all the year. I will live in the Past, the Present, and the Future. The Spirits of all Three shall strive within me. I will not shut out the lessons that they teach! Now whether you celebrate Christmas or embrace another tradition, it’s customary at this time of year to emphasize acts of compassion, giving, peace, and goodwill. I think Dickens may have been on to something when he encouraged us to consider the lessons of the Past, Present, and Future. When I think about the work we do as practitioners, we’re often focused on helping people make peace with, and heal from a challenging past. So much of that healing comes as we’re able to help our clients develop a more mindful, deeper sense of being present. And when we help our clients heal, it changes not only their lives, but the lives of their family, and their children as well. This gives everyone a better possibility of being all they can be. So ultimately, when we help one person heal it affects the community as well. And that changes the world and creates a better future. I’ve been thinking a lot lately about how we can create a better future – not just during this season, but throughout the whole year. I’ll have more to say about that soon. But in the meantime, I want to wish you the very best during this season of celebration, peace, and goodwill. Now I’d like to hear from you. What are some ways you’re working to create a better future? Please tell us about it below. Trying to live as if it is my last day. In old age and retirement with little need for profit, my small solo practice is directed for people who cannot afford health insurance. I accept only Medicare, Medicaid, and can survive on my minimal cash fee of $ 10 per visit. I fear that in the coming year many people will lose their Medicare and / or Medicaid as regulators tighten rules. Please continue to keep us posted. I appreciate your concern about this real issue that keeps us uptight. Thx. Wow! I made the connection to this concept quite a while ago as a way to describe my theoretical foundation and called it the Dickens theory of therapy. I feel validated that someone with your wisdom, experience and knowledge would make that same connection to this classic story. Happy Holidays and thank you for all that you share with others! I think this may be because when I hold faith and love in any given moment for the best for myself or someone else then that is Love. Is now, in this moment. Love is greater because it involves faith and hope. Best wishes. I love your posts and plan to take some of your courses in the future. During this Christmas season, I have been spreading cheer by thanking our Body Instructors with small gifts of appreciation, putting coats in the Coats for Kids box at our fitness Center, donating new toys to the Toys for Tots project at our fitness center, making monetary contributions to many organizations who are helping others, sharing kind words with friends and strangers along the way, spending time with our family members, hosting family celebrations, and praying for peace in our world. I also share my experience, strength and hope with others in my 12-step program.I wish each and every one of you a joyous and Peaceful Christmas or the holiday of your beliefs. I focus on being the best version of myself and facilitating the same in clients and friends. NOW is the only moment that matters. Peaceful, joyful Chanukah, solstice, xmas greetings to you Ruth and all at NICABM. Thank you Ruth. I agree, that it *works* to incorporate past,present and future in the healing process. If we think of it all as NOW…the past was a NOW that happened before, the present is NOW and the future is a NOW to come, simply on a time line extending in both directions, a continuum. I think we can benefit by weaving these moments of positive and negative emotion, intellectual growth and the wisdom that happens with experience. I’ve been doing something new for me this year–that is chanting–with a focus on attainment/happiness for SELF and OTHERS (even and especially those I consider enemies or hugely problematic). While you chant, it’s like you run an inner review of past present and future of mind junk, in COURSE-CORRECTION, with the simple positive intent on awareness to unwaveringly do the right thing…. A sort-of single-pointed discipline to choose actions that lead to World Peace, sustainability, and mindfulness. It is divisiveness that tears our happiness up–we must care for one another to make over-all progress, leaving no one out, while standing unapologetically firm for what we know to be true. With the support of the people who practice with this same INTENT, hindrances can become fuel for achievement. It has benefited me just to know that others want good-for-all as much as I do. For Peter, I identify with everything you say & have felt it as well. Speaking out about it is a great start. Find someone you can trust to share with, & give it to the man who came to save & enrich our lives. I continually focus on growing my skills in Sensorimotor Psychotherapy and living within the principles. These principles grew out of Hakomi where I first learn the principles. And I was struck by Ron Kurtz’ words about non-violence enabling us to gain the cooperation of the unconscious. I’m really struggling with focusing on the past – I’ve lost a lot materially , family-wise and socially . I’m just so sad every day – life doesn’t seem worth it anymore. The pain I feel when I wake in the morning and the shots of adrenaline filled with worry and sadness is palpable. I’m sorry for being so negative but it’s exactly how I feel everyday especially in the mornings. It’s an immense struggle to get out of bed. I feel dead. I wish I could adopt some of CD’s philosophy. He was a brilliant man. Thank you Peter for having the courage to share with us how you are struggling today. That cant have been easy. It is so horrible to be in any pain, but to be in a place where you are facing into your unbearable pain every morning must be so horrendous. I wish you well and send you loving kindness today. I am focusing on becoming more tolerant and compassionate, both to myself and others. Thankyou for this Dickens reference. I am working to create a better future by “Cheering Up The Planet” with my book “Healing My Heart, After Domestic Abuse”. I love to speak at women’s shelters, on the radio and any where else that will have me. I share Reflexology/Reiki on a Pay What You Can Basis. I have been writing a blog of affirmations since April 2012. I do my best to be an example of kindness and compassion in all that I do. Thank you for your inspirational message Ruth. I can still recall enjoying the story of the Christmas Carol from school a long time ago and never thought in terms of the lesson Charles Dickens was trying to convey to the reader. At that time, I recall being happy that Scrooge had been convinced to change his mind, it was so life changing for him and for those around him. How brilliant of you to pick that message, it’s just magical, just one little message with such all encompassing power – an everyday mantra for us all. Wonderful! thank you so much Ruth for the great work that you do. I love the everyday take home messages in the Next Level program, they are such good food for thought..
Dear Ruth, Enjoy a beautiful, blessed and joyful Christmas with your loved ones and a New Year that will unfold peace, this world needs and joy to all. Thank you Ruth. I strive to be a kinder, more mindful and thoughtful person every day. One who is thoughtful of all of creation, wishing true happiness for all beings (no exceptions!). I try to appreciate my challenges as well as the many good things with which I have been blessed. This includes your email posts! “Be the change you wish to see in the world.” I think that was Einstein, though I’m not sure. Blessings for you, your family and your clients, Ruth! PS: Charles Dickens has always been a most positive inspiration for me! I must admit, though, I don’t understand how to appreciate the lessons of a future I do not yet know. Thoughts?? Charles Dickens was and continues to be a moral compass for me..glad to know he taught you too! Beautifully said , thank you Ruth for the videos. Let’s have a warm and peaceful holiday, cheers! Ruth your a great teacher and a great healer of mind body and soul. I was the poster child of abuse. The physical and the emotional abuse were one thing but the sexual abuse set me back. Thank you, Ruth, for this message: so true, heartening, and inspiring. I know I am with many, many others in my gratitude for the amazing work you do and the education and community that you have created and facilitate. If there are Angels, I think you must be one. Best of the Season to you and yours (and all of us humans), Jason. Having a better future is about both finding things to appreciate in the now and continuing to allow the future to be becoming in unknown and fun ways. Thank you Ruth for such an inspirational message. Thank you and everyone at NICABMfor the wonderful programs you provide. Thank you Ruth, what a thoughtful message. 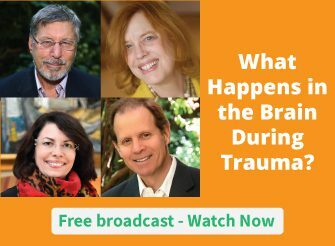 I love the NICABM videos it constantly supports me in my practice and in life. Thanks for the thoughtful words Ruth. We have come so far and have so far to go. I’ve learned so much and look to our community for support and guidance. Thanks to all of you for lighting the way. Dear Ruth: I love the new message I am hearing in NICABM communications — that healing one person heals so many others they are connected to and makes a better world for everyone. A big, inspired YES! All the best to you and everyone at NICABM for all you do to heal individuals and the world. Gratefully yours. Thank-you for the inspiration—Scrooge did have something to say, didn’t he? I attempt to develop my own self-love and empathy so that I can give that same love/empathy to the world. In this way, I can help create a better future. I would also like to act on the visions I have for a better world: respect for others and their cultures, care of the earth and of the most vulnerable—that is, children and the elders. A warm, joyful holiday to you and yours! Thank you dear Ruth for those kind words. I keep following you and learning from you for years. Even though I am retired I use your teaching in relationships with my family, neighbors, friends, and even strangers. Long time ago I have realized that in changing the world I have to start with myself. I am trying to be nice to everyone to carb my ego and accept the good and bad with balance and reason. My life is good, people come to me for advice and I am surrounded with love. Thank you for everything! Merry Christmas and a very happy New Year. By continuing to deepen my mindfulness practice, I am noticing I am more present with others and myself. I have been practicing mindfulness for 10+ years and I truly have started noticing the benefits in the last two years. I am so grateful I made this commitment to myself, and I love NICABM. It has also been an asset to my development as a therapist and person. What a beautiful thought! I feel enriched already! I hope I will be successful in passing this on. Merry Christmas to you, too. Thankyou Ruth. I volunteer as a siver cord caller with ST Johns, making frirndshipcalls to the lonely. This year i will make sure as to ring every client i have on Christmas day. Wishing everyone a wonderful Chrismas and a happy, peace New year for us all. Let your breathing be your prayer. A very effektive and impactful prayer! I have put much thought into how I relate to my family. I would go to workshops and read. An important step was to practice the ‘techniques’ that I’d just learned. Surprise, surprise, they proved to be extremely useful. Of course we have altercations, but we have learned to remain respectful of each other, even in the midst of a disagreement. The result: we like each other! I hope some of what I have learned, and who I have become has an influence on other people in my life. Always helpful, always compassionate, to practitioners and clients alike. Happy Christmas to you Ruth, and to one and all ! Thank you Ruth for your lovely messages. I try to create a better future by working on myself, hoping that it will rub off on those around me. I too want to look forward to a world where human nature can be tamed enough to allow for more care and decency than is currently prevailing. It seems that every person with the ability to abuse /frighten others has decided that they want to be in charge of everyone else. The world has taken a turn for the worse, and I think decent people need to step up their game – just don’t know how to do this. Perhaps if we all work together we can come up with a great plan! Happy Christmas and a peaceful and loving New Year. To spread information about What children need. Thank you for all your warm and inspiering mails. I wish you a warm Christmas and a happy New year. Thank you Ruth for your good wishes and all the good work you have done throughout the year. Happy Christmas to you too. Thank you, Ruth, for your heartfelt greeting and the thoughts you shared. I have been thinking many of these same things, especially keeping the Spirits of Christmas alive everyday. It is the integration of past, present and future that keep us whole and centered to know what truly matters. Thanks for all the good offerings you give to us as clinicians to help the healing process in all people. I wish you joy, peace and love each and every day. Warm regards to you and those you love!